Capital Protection funds - How good are they Returns and taxation wise? Home Investment options Capital Protection funds – Should you Invest? Capital protection funds have its genesis in late 2008 when investors were running away from the stock market. Product manufacturers understand investor psyche very well. They knew that they are not running from stock markets but are afraid of losing money on investments in volatile timers. So they came up with their innovation in the form of Capital protection oriented funds. or Capital Protection Funds. The word capital protection is enough to attract the attention of Investors and made it an easy sell. Since then there are many mutual fund companies regularly launching Capital protection funds series and collects handsome sum as investment corpus. But does it really make sense to invest in such funds or investors are falling prey to such seemingly attractive proposition? Let’s understand in detail. Basically, capital protection oriented funds are debt oriented Hybrid close-ended funds (mix of debt and equity). Debt portion is invested in such a way that it returns the Capital invested and equity portion provides the necessary opportunity growth to investments. Debt investments are kept on accrual basis just like FMPs (fixed maturity plans) and equity is diversified among various sectors. These are close ended funds and come with tenure of 3 or 5 years. How capital protection oriented funds work? The first thing an investor needs to understand is that Do read the title of funds as “Capital protection ORIENTED” which means that there’s no guarantee of capital protection in these funds. Let me explain to you the working of Capital protection funds with an example. Fund A is launched as a Capital protection oriented fund with a close-ended tenure of 5 years. The AAA rated debt papers with the same tenure in the market are yielding 9% p.a. Now the structure of fund will be: Rs 65 will be invested in debt papers yielding 9% rate for 5 years so that it becomes 100 by the time fund matures. The rest Rs 35 will be invested and traded in the equity market to generate the capital appreciation. Let’s assume that Equity market gives 10% p.a of returns, then the maturity value of your investment will be 156.37 means you have earned a Pre-tax return of 9.37% p.a with the protection of capital. Are the returns from Capital protection Oriented funds taxable? But you can reduce your tax outgo by designing your own capital protection oriented fund. Yes, it is true. You can design your own capital protection fund by combining FMPs and Diversified equity mutual fund in your portfolio. Say for e.g. You have Rs 10 lakh to invest for 5 years, but you are afraid of losing capital. You are also looking at some tax-efficient investment, then rather than getting into capital protection fund, you can design the same structure for your investments yourself. Try to find out the tentative idea on current yield of AAA rated paper and search for FMPs trying to build a portfolio of the same. Let’s assume the FMP yield to be 9%. Now with a time horizon of 5 years, you need to invest Rs 6.5 lakh in an FMP expected to yield 9% p.a to get your capital back. (You have to do some maths on finding the present value of investments depending on the interest rates prevailing), the balance amount you can park in some good diversified equity Mutual fund. This way you have designed a much efficient tax structure than a capital protection fund. Below table shows the tax calculations. The above table clearly shows that if you design your own capital protection fund than you can save around Rs 7694/- more on tax payment. 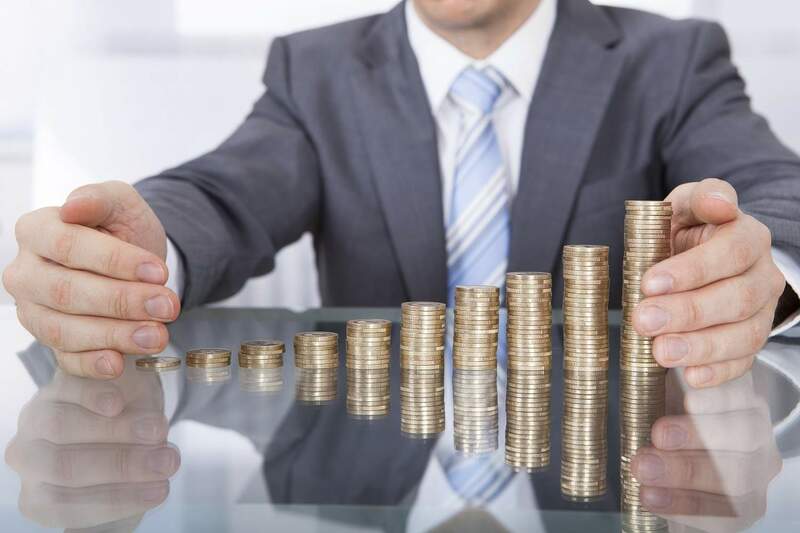 Should you invest in capital protection funds? Frankly being a financial planner, I always advise on making investments keeping the goal in mind, and I believe that there are many actively managed funds in the mutual funds’ space which have potential to deliver better returns than Capital protection oriented funds. Then the taxation structure does not attract me, as I can save more on tax by self-designing such portfolio. Those who are in lowest tax bracket may structure the product through bank Fixed deposits. This way they will not lose on liquidity front also. The capital protection funds are being pitched in various banks as bank fixed deposits and the reason of them pitching like this is your ignorance and their brokerage, which is very good in these funds. My view is to avoid such kind of structure and invest only in plain vanilla funds. Do let me know what you think of this article. Does it make sense to opt for capital protection oriented funds? Good article. Thanks for the information. God bless. Thanks Manikaran for the detailed and nice analysis on capital protection funds. You have rightly pointed out that word “capital protection” is enough to attrcat the attention of investors and wwhich is why they get missold very easily. Very True shalini. This is why i say, that investments should not be looked from emotional perspective. It should have practical reasoning to it.